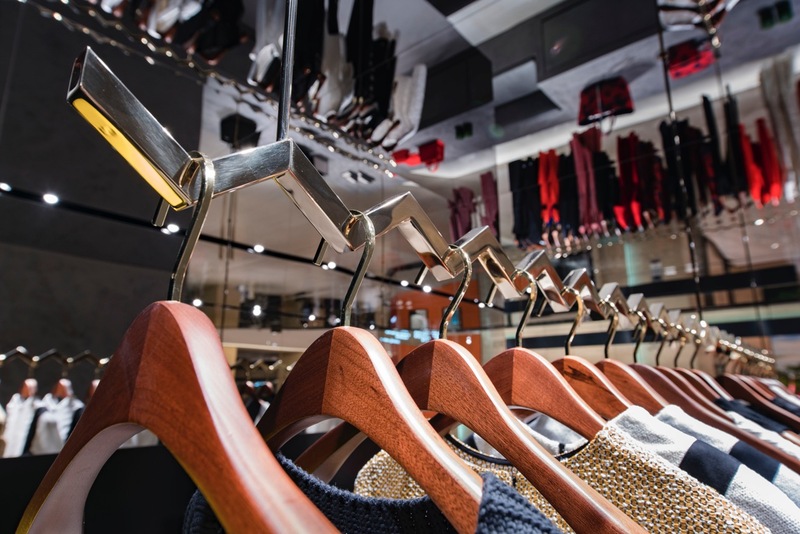 March saw a new milestone in the Victoria Beckham brand’s history with the opening of the first brick and mortar store in Asia. 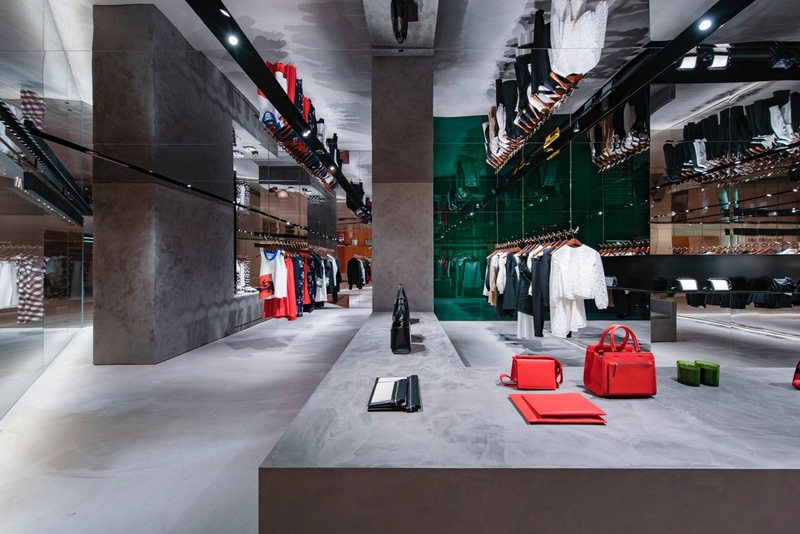 Located on the second floor in Shop 213 of the Landmark, the impressive 2,198 square foot interior ensures a statement presence in the heart of Hong Kong. The distinctive clean and contemporary interiors reflect a signature sense of ease in the bustling urban Asian capital. Appealing to the modern, international woman, the fresh interiors are accented with rich design details such as the blond gold zigzag hanging rails and walls of deep green glass: a tasteful embodiment of the iconic brand. JOYCE has carried Victoria Beckham collections since the British brand’s launch in 2008. The opening of the new dedicated space allowed an opportunity for Victoria to visit Hong Kong and present her coming line for AW 2016. Reworking some of her signature silhouettes, hourglass shapes were reinterpreted and exaggerated using soft boned bustiers, balloon volumes and layered knits. Colour, texture and print are set against each other to give depth and dimension. Continuing the evolution of Victoria Beckham’s personal style and design ethos, the collection reflects a sense of strong femininity with boyish undertones. 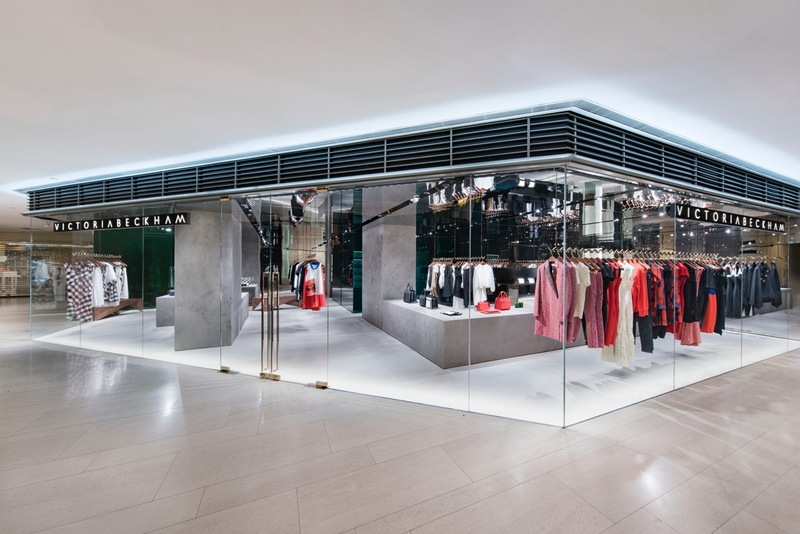 Visit the Victoria Beckham store at Shop 213, Landmark in Central.